These ears are made from a circle of flattened twisted wire that is 3/4" in diameter. I added a smaller ring at the top to make them more fluid while hanging from the ear wire. 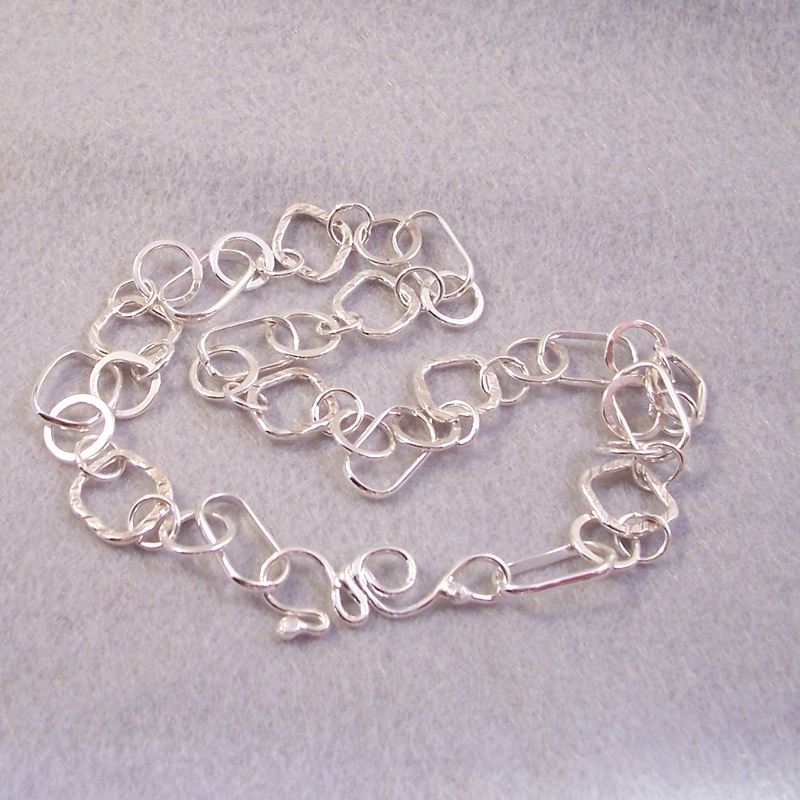 They match a chain bracelet also available. A pendant to match can easily be added to a great collection. 1 1/2" including the wire.